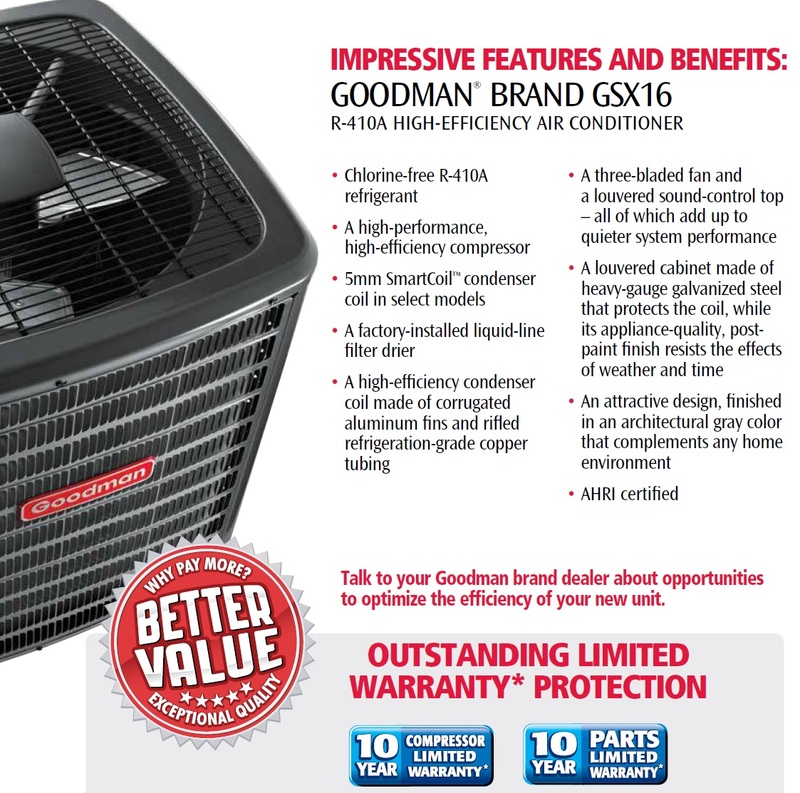 Goodman strives to provide high performance, energy efficient and durable equipment. 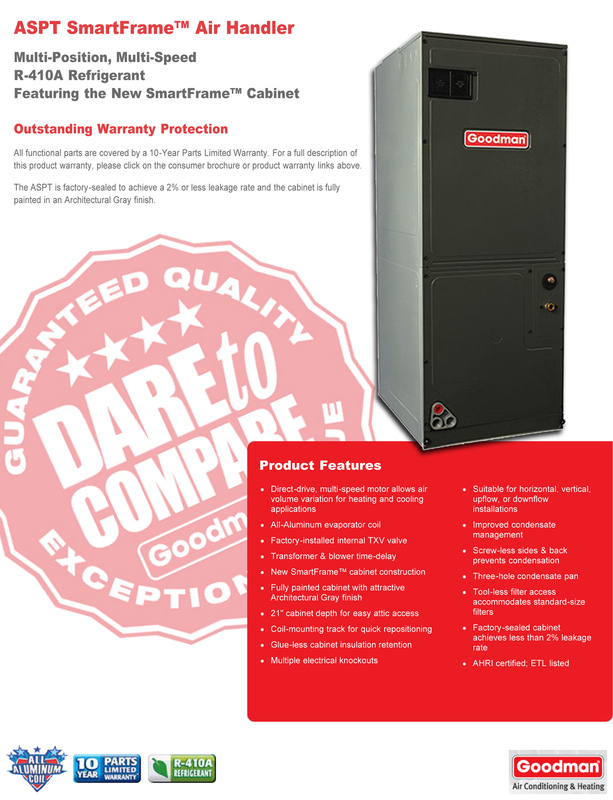 Your GSX16 & ASPT will provide reliable heating & cooling for years to come. 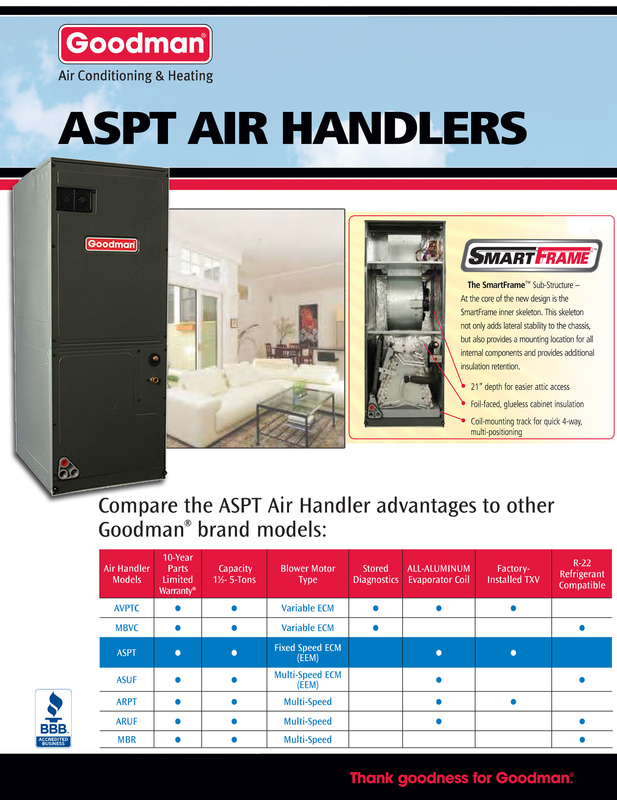 With the new GSX16/ASPT SMART design, this system meets the new 2015 EPA laws.